For a very long time, machines have been making our life easy and convenient. Over the centuries, several inventions took place that made our day-to-day tasks simpler to perform. At the same time, humans have wanted machines to mimic human capabilities and perform some repetitive, high-volume, and monotonous tasks with great efficiency. And Artificial intelligence technology and AI software have fulfilled this dream. Artificial intelligence is one of the most revolutionary technologies that has been in the process of evolution for decades. Experts from Harvard Business suggest that artificial intelligence is the most “general purpose technology” of this age. It is being used in diverse industries and is said to be a disruptive force. Experts suggest if there are any industries benefiting the most out of this technological innovation, it is the finance and banking industry. Artificial intelligence platforms are currently changing the face of the world’s top industries. 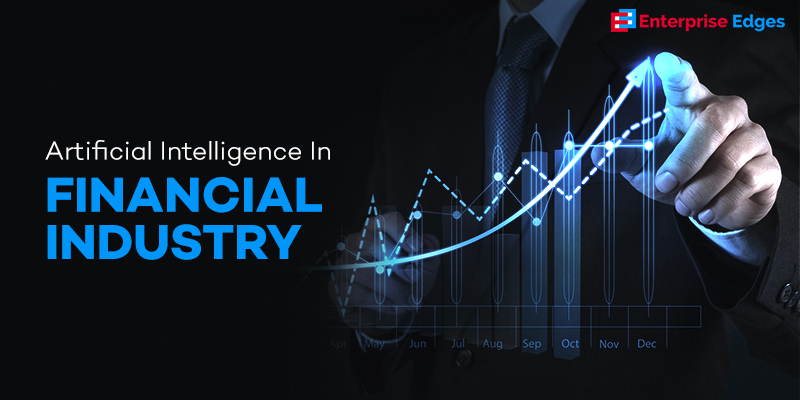 Let’s learn what artificial intelligence is and its impact on the finance and banking industry. Also, we will list some of the best artificial intelligence software and platforms. Firstly, let’s address the most important question: what Is artificial intelligence? Artificial intelligence, also known as AI or machine learning, is a technology that has emerged from the area of computer science and specializes in creating machines and software that can mimic or demonstrate intelligence capabilities similar to human beings. Over a period of time, it has become an integral part of the technology industry and is rapidly evolving. Several artificial intelligence companies are experimenting with the potential of these machines to imitate human skills. For now, artificial intelligence includes a multitude of capabilities and skills such as speech recognition, learning, planning, problem-solving, reasoning, recording, and manipulation of data and objects. Apple’s virtual assistance is a classic example of machine learning technology. So how does AI work? 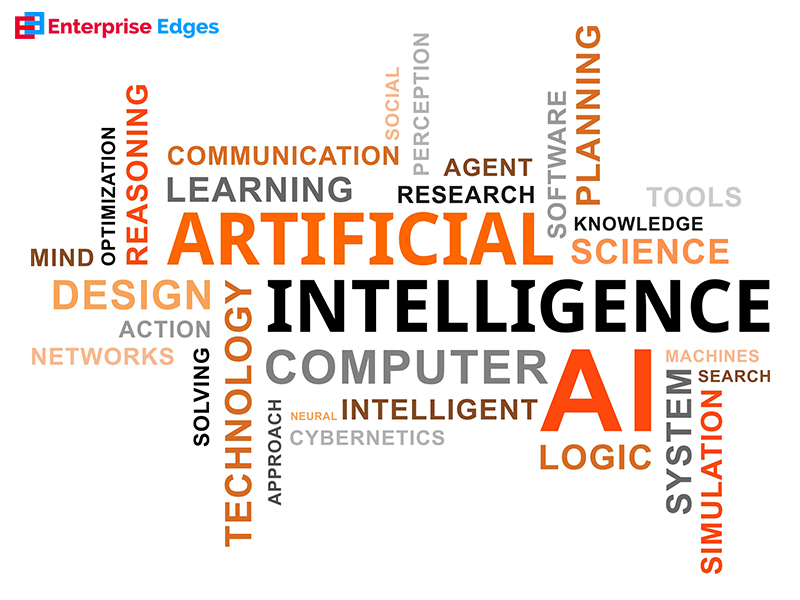 According to science, an AI model is capable of perceiving its environment and assimilating enough knowledge to maximize its chances of achieving the desired tasks and goals. There are several branches of artificial intelligence that are implemented by a typical AI model. Knowledge Engineering: It is a field within artificial intelligence uses large amounts of knowledge to create knowledge-based systems. These AI software and programs contain knowledge and reasoning mechanisms to solve problems. Machine learning: Another popular area of Artificial Intelligence that provides the system or AI models the ability to learn and improve automatically from the environment or experience without any instructions. A subset of machine learning is Deep Learning. Facebook’s application DeepFace that can recognize people from photos is a classic example of this branch of a scientific field. Natural Language Processing: It is the ability of AI software to understand human speech and language and interact in the same. In the age of smartphones, we are all very well familiar with this technology. Computer vision: A scientific field that use computers to gain a better understanding with the help of digital images and videos. Robotics: It is the use of a computer to replicate intelligent behavior. Automatic programming: It is a field wherein computer programming is done by a machine. Apart from these, there is a huge list that includes knowledge representation, natural language generation, virtual personal assistants, graph analysis, social network analysis, internet of things, recommender systems, simulation modeling, machine translation and more. There are instances of AI development in ancient Greek history. It is fair to say that for centuries humans have been working to make this technology a reality. From the ancient Greek myths of Hephaestus and Pygmalion, there have been mentions of intelligent robots and artificial beings like Talos and Pandora. In China, the fifth king of Zhou dynasty was presented with mechanical men. The great scholar Aristotle (384-322BC) talked about syllogism and in the 1st century Heron of Alexandria created mechanical men. In the following years and different parts of the world, there has been mention of technologies and concepts similar to artificial intelligence. It was in 1923 Karel Capek’s play R.U.R. (Rossum’s Universal Robots) used the word Robot for the first time, ever. Ever since this term has become a common word for the Artificial Intelligence model. In the modern era, in 1950, Alan Turing conducted the Turing test as a measure of Machine learning. He created a Bombe Machine that was used to decipher Enigma’s messages, a secure method of sending messages by Germans during World War II. In the same year, Isaac Asimov published his “Three Laws of Robotics.” The first ever working AI programs were written in the following year. These programs were to be run on Ferranti Mark 1 machine of the University of Manchester. In 1956, the Dartmouth college summer AI conference was organized. Here, John McCarthy, a computer and cognitive scientist coined the term artificial intelligence. The 1960s witnessed major developments in the field of machine learning and developing AI algorithms to solve mathematical and geometrical problems. Towards the end of the 60s, computer scientists worked on the machine vision learning in robots. In 1965, Joseph Weizenbaum built ELIZA, an interactive computer program using natural language processing at the MIT Artificial Intelligence Laboratory. In 1968, Richard Greenblatt built a knowledge-based chess playing program MacHack at MIT. In 1969, Shakey the Robot, the first general-purpose mobile robot was built at Stanford Research Institute (SRI). In 1972, Japan built WABOT-1, the first humanoid robot. The period between the 1970s and 1990s saw a freeze of sorts for AI development because there was a scarcity of economic resources for the scientists to take their research further. 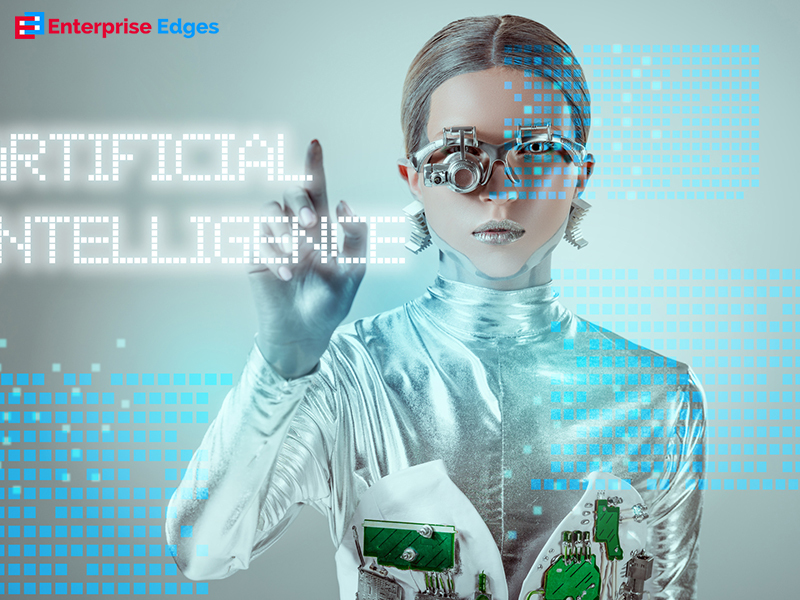 This period is known as “AI Winter.” Only in the late 1990s, things picked up again and there were major advances made in all areas of AI including machine learning, intelligent tutoring, data mining, natural language processing, virtual reality, games, vision, translation and more. In 1997, there was a first official RoboCup Football held where 40 teams of interacting robots participated. In the 2000s, interactive robot pets or smart toys became commercial. Nomad robot was planted in remote regions of Antarctica to explore meteorite samples. NASA sent its robotic exploration rovers to Mars. 2005 saw the birth of Blue brain, a project to simulate the brain at the molecular level. In 2009, Google built an autonomous car. 2010 saw the launch of Microsoft’s Kinect for Xbox 360, the first ever gaming device that could track human body movement. Between 2011-2014, Siri, Google Now, and Microsoft’s Cortana were introduced as smart apps. Since then, there has been no looking back. 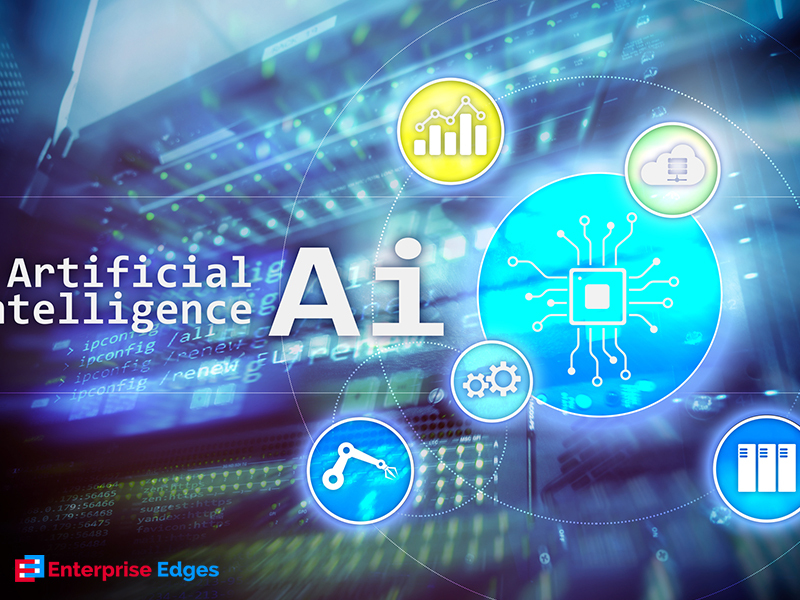 Every day, there is a new innovation in the world of Artificial Intelligence and these machines, and AI software has become a household name and are revolutionizing several industries. Artificial Intelligence is relevant to most of the global industries and any intelligent task. In the modern era, there are so many ways of applications and implementation of this technology that it is impossible to list it here. The technology is impacting several fields of study, research, and industries worldwide. Some exemplary demonstrations of AI include autonomous vehicles, smartphone assistants, virtual assistants, spy planes, drones, search engine, and more. Industries that are benefiting the most out of Artificial Intelligence are healthcare, gaming, armed forces, security, advertising, education, finance, and banking. The world is moving towards AI due to its many benefits. Here are a few to consider. The chances of errors are reduced magnificently for the jobs that require analysis of a large amount of data and algorithms. At the same time, it increases accuracy without any human intervention. Easy exploration of difficult spaces is possible with AI. Robots are designed in a way that they can survive in the toughest or most hostile environments not possible for human beings. Therefore, today we have a better understanding of the planets, the underwater world, and remote places where it may not be possible to reach otherwise. However, there is still a long way to go and a lot remains unexplored. Increased efficiency can be expected when AI software is performing large-volume work. Jobs like data entry, data analysis, and data recording are essential for any business. However, these are repetitive, monotonous jobs that require the employee to work on large data. These tasks can be performed with great precision by AI software and reduce the burden on the human employee. This means that the companies can focus on core goals and intentions of the company and improve efficiency. AI’s perception abilities make it perfect in the situation where the prediction of future or upcoming events is necessary. It’s easier to detect fraudulent activities and one can expect increased compliance of standards and regulations. Also, they can work round the clock as there is no chance of fatigue and exhaustion. Therefore, they can handle the workload without the need for sleep, break or rest. Artificial Intelligence has transformed several industries, particularly finance and banking. For decades, these industries resisted change and were unwilling to adapt to the new systems. However, the arrival of computer technology and machine learning led to some major shifting and shaking up of the industry. After much reluctance, the finance services realized that this is the best way to deal with a large database, high-volume documentations, complex markets. They realized that the adoption of AI will enhance efficiency. Things continue to progress because of the customer demands of improved experience, 24/7 access, efficiency, and need for transparency. AI has enabled the financial services to expand their spectrum and they are now offering customized consumer financial services. This is simply to meet the unique demands of their customers. AI allows banks to provide each customer with a private advisor that helps them understand their financial requirements better and how to make the best use of it, whether it is savings, investing or wealth management. 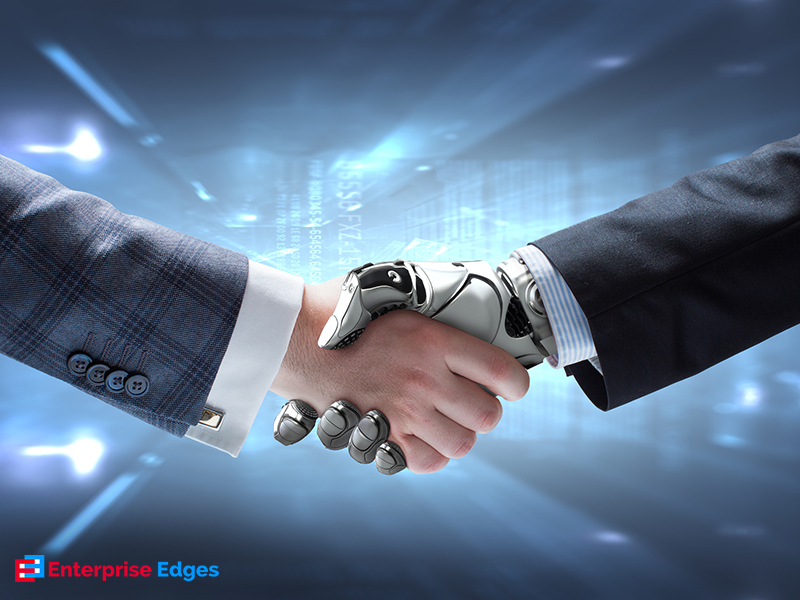 Moreover, AI in finance has successfully reduced the cost of operation and serving customers. 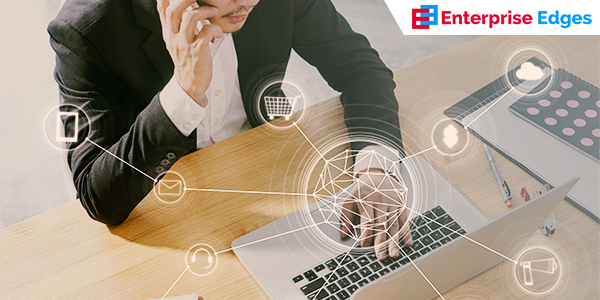 Not only the interaction with their customers has become economical, it is also now possible for them to be in touch with them 24/7. At the same time, it provides swift and automated answers to the customers that have proven to be severely time-efficient. Meanwhile, AI software helps in converting large amounts of unstructured data into structured data in minutes and even provide automatic analysis. This helps the experts provide the best financial advice to their clients regarding their capital and wealth. Besides, AI in finance aims at making financial services safe and secure avenue for their consumers. AI software helps develop financial systems that are equipped to detect fraudulent behavior or activities even at the slightest hint. Meanwhile, it helps in compliance of all policies and security measures for improved safety. The technology of automation ensures accurate answers and solutions that may otherwise be marred by the inaccuracy due to human intervention. It can result in disastrous situations like decision making. Furthermore, machine learning and AI can work on large volume data and gather information easily. Therefore, it is easy to extract information that can help financial services in understanding their customer behavior and expectations. With the help of which, they can further develop their systems to provide customer satisfaction. AI’s biggest benefit is that it allows businesses to carry out knowledge-based activities. Along with this, customer services, robotic process automation, and credit scoring are some areas of finance that have experienced the AI revolution. Here are a few examples of companies and AI platforms helping the financial and banking industry in recreating financial services for its customers. Infosys NIA is one of the best next-generation integrated artificial intelligence platforms that help in solving complex business problems. This software assimilates data from various sources including legacy systems and simplifies data management for businesses. At the same time, it helps automation of complex processes, reducing human efforts and saving time for redundant business processes. This AI that uses machine learning was launched by IBM. It helps in transforming unstructured data into organized and structured data. And it is used in social media monitoring, financial trading, business intelligence and more. This system answers questions posed in natural language. It is capable of applying advanced level natural language processing, information, retrieval, knowledge presentation, automated reasoning, and machine learning. The Azure Machine Learning provides answers and solutions to the problems based on predictive analysis. It is an open source library AI software launched by Google in 2015. It is used to design Deep Learning models and implements numerical computation with the help of a dataflow graph, also known as a computational graph. It must be noted that the article contains just a few cases of AI application. AI in the finance and banking industry is just the beginning. The full impact of this technology is yet to be seen. With the implementation of chatbots and virtual assistants for improved customer experience, the future looks glorious. In addition, machine learning and knowledge-based systems are contributing to creating smarter and safer solutions for financial products and services. We are moving towards the AI-driven world, which is expected to provide new opportunities for everyone.